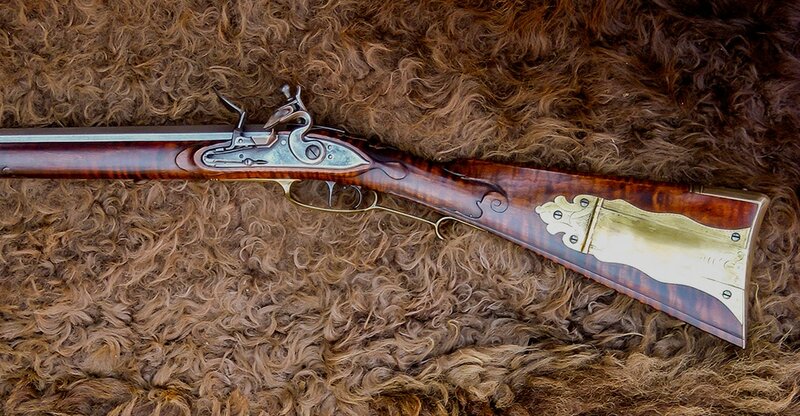 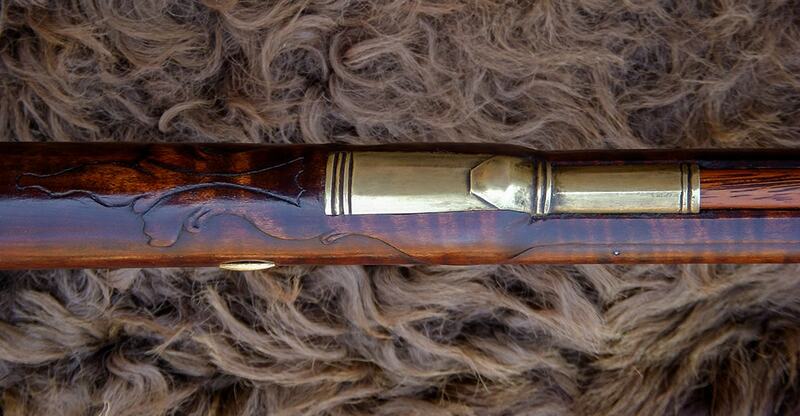 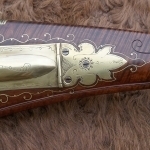 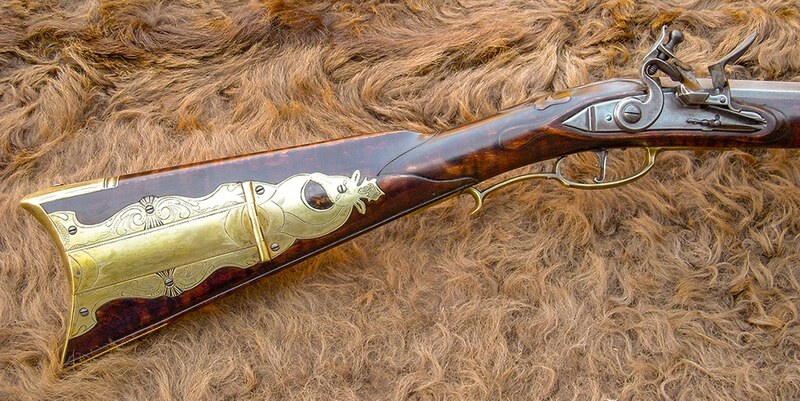 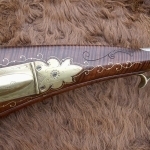 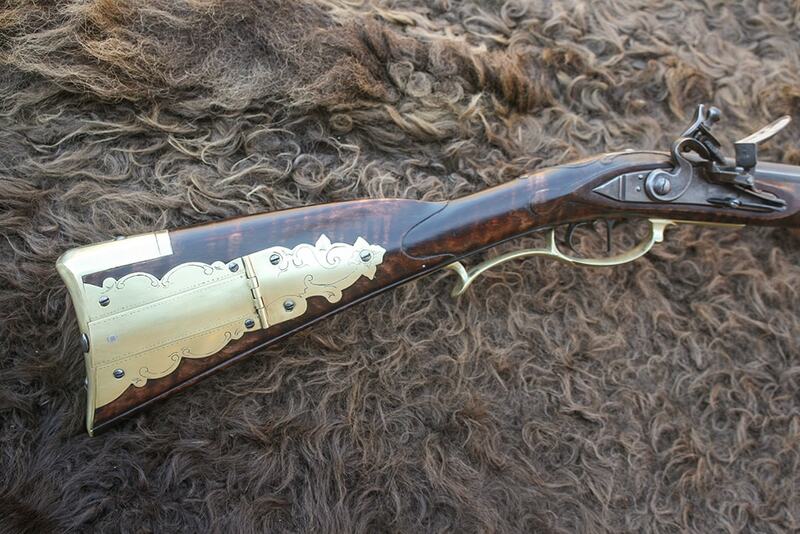 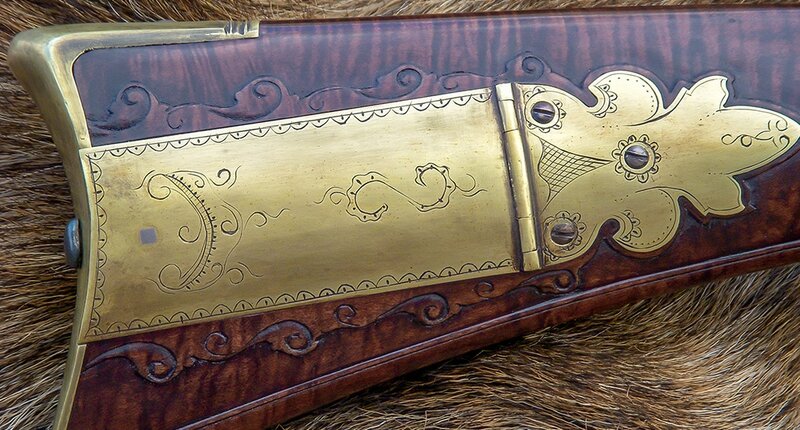 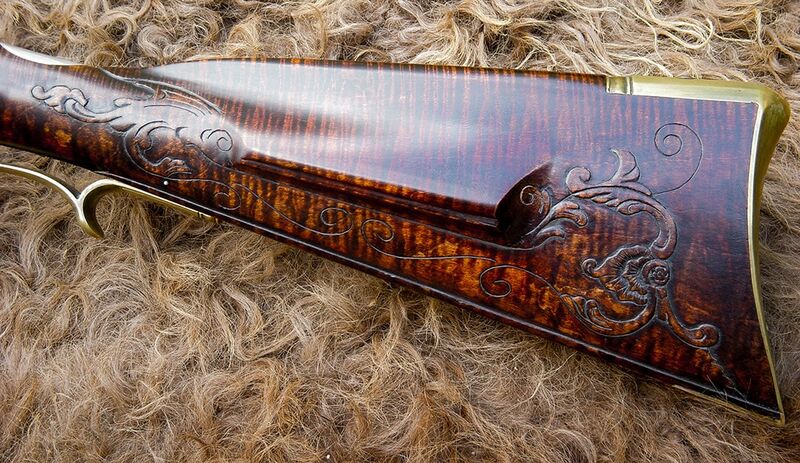 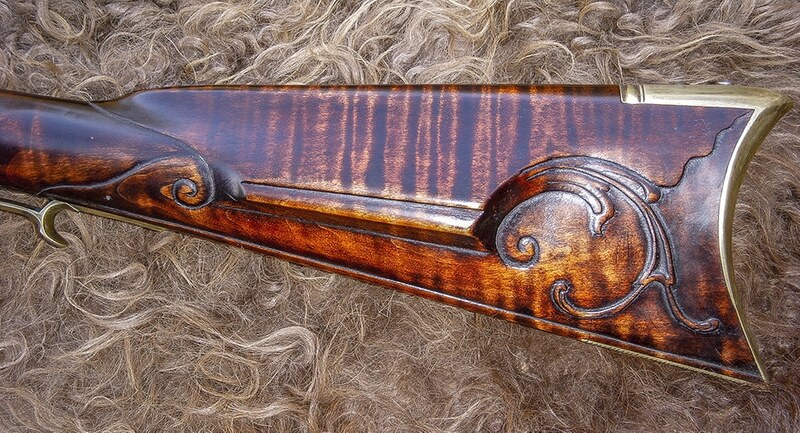 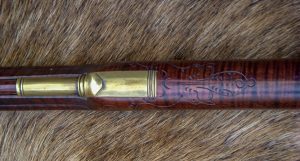 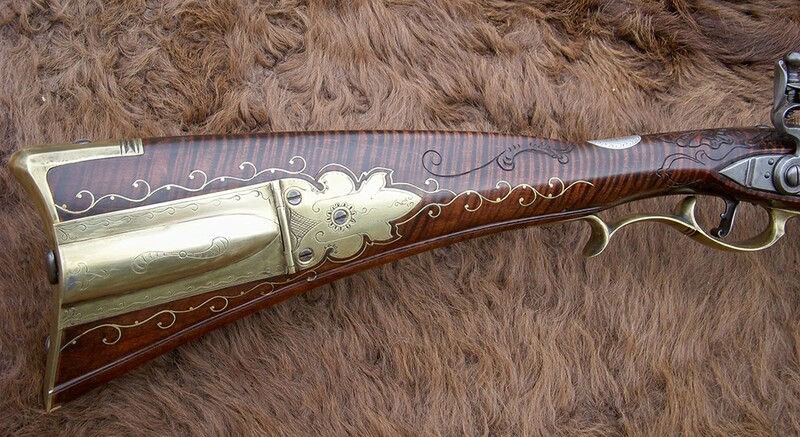 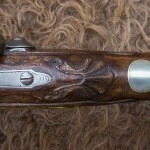 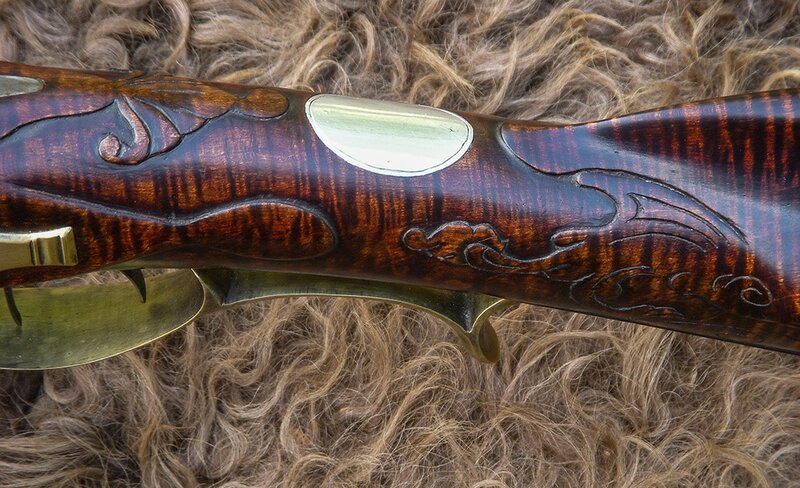 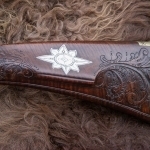 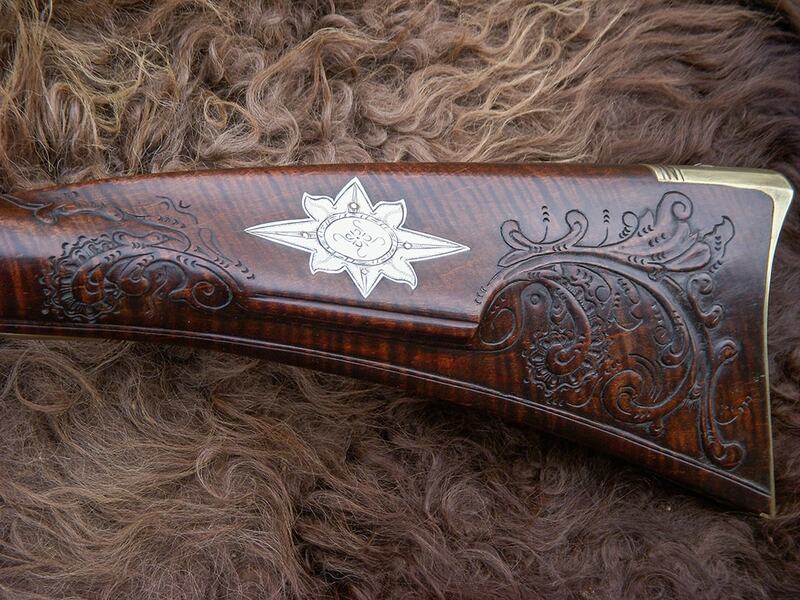 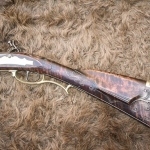 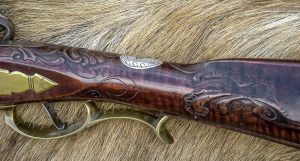 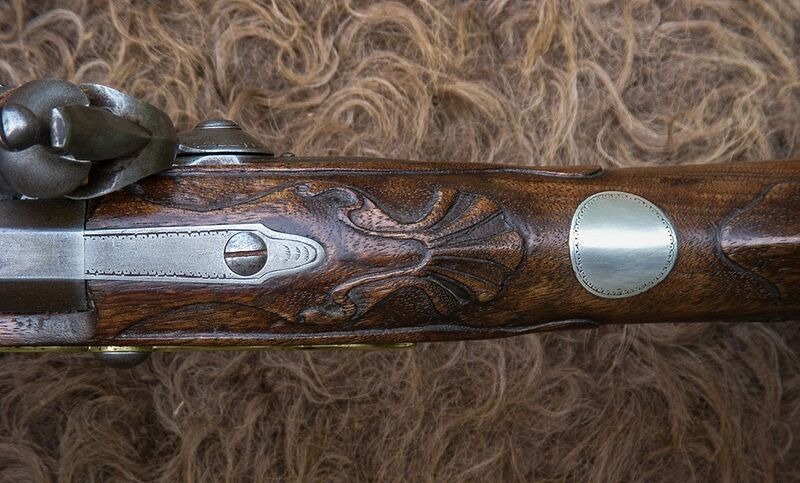 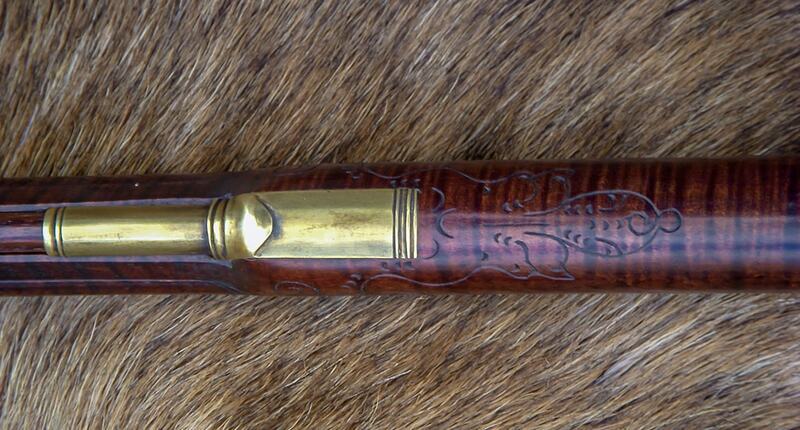 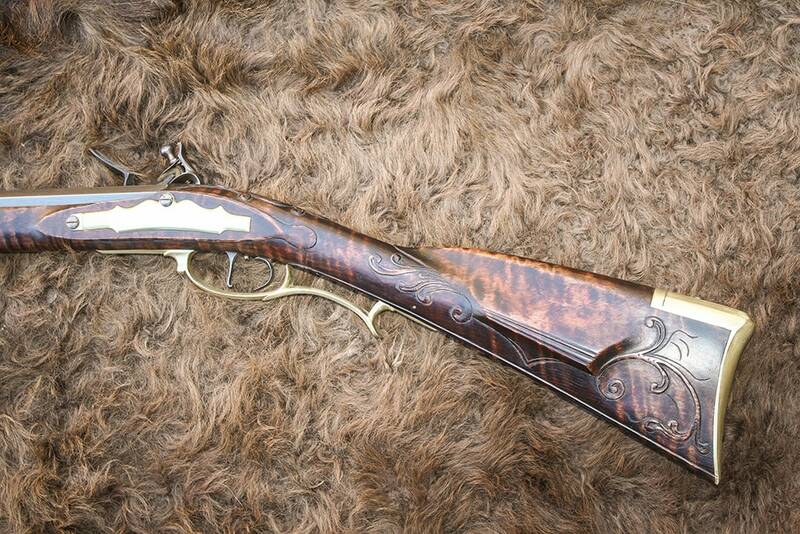 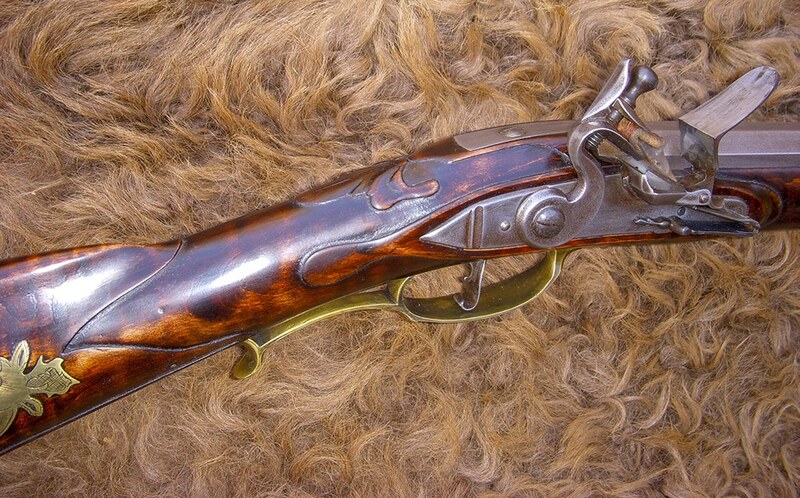 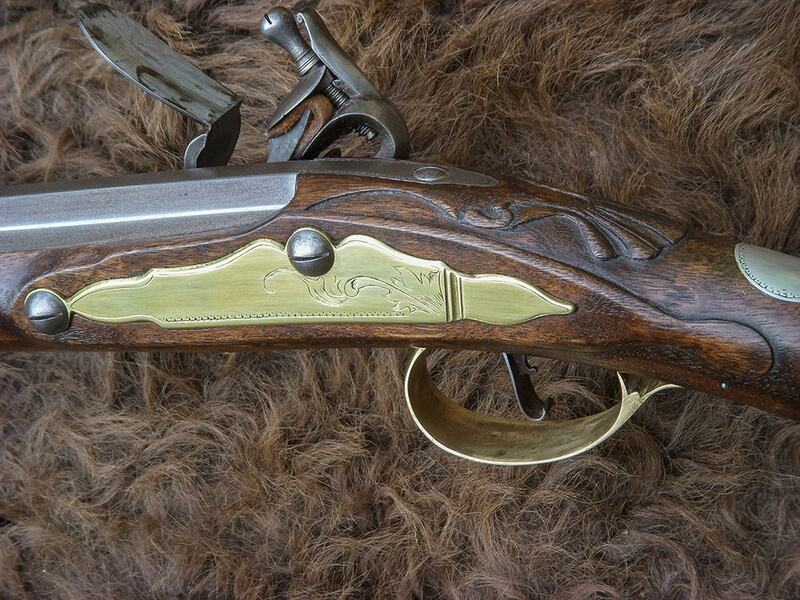 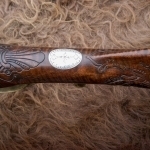 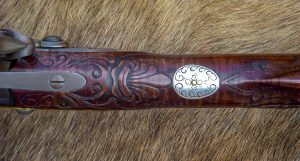 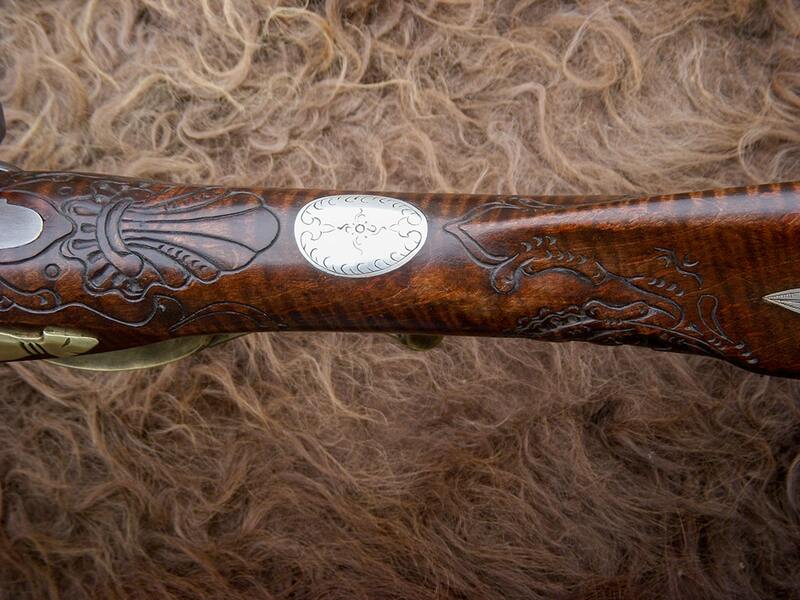 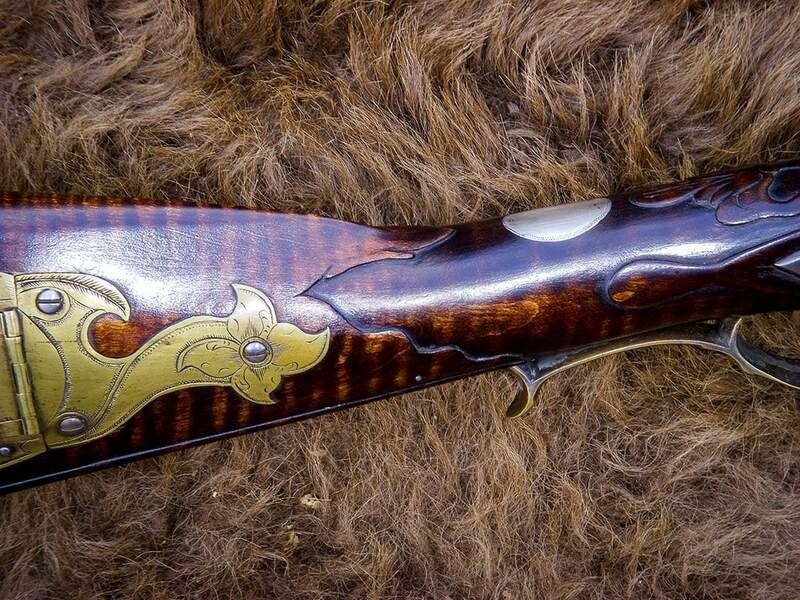 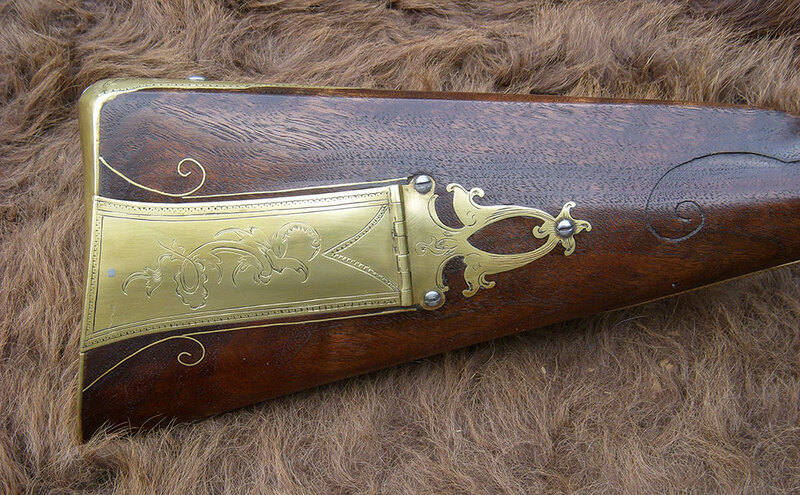 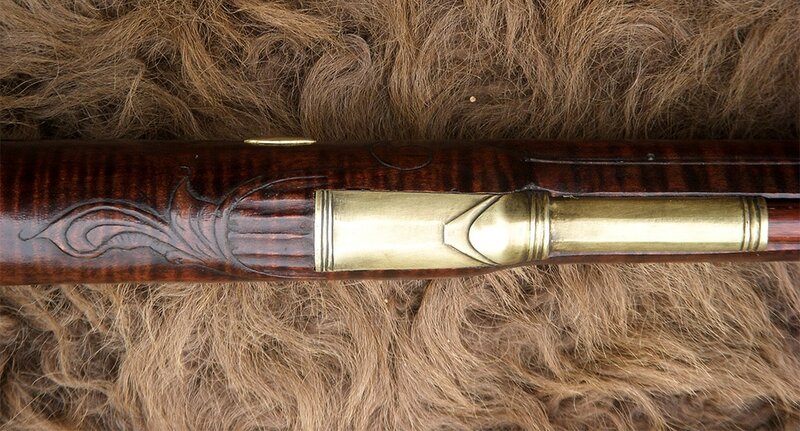 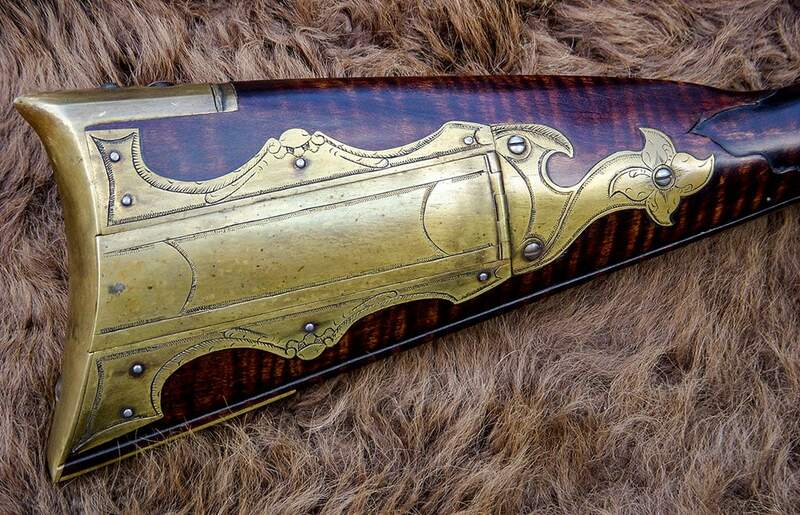 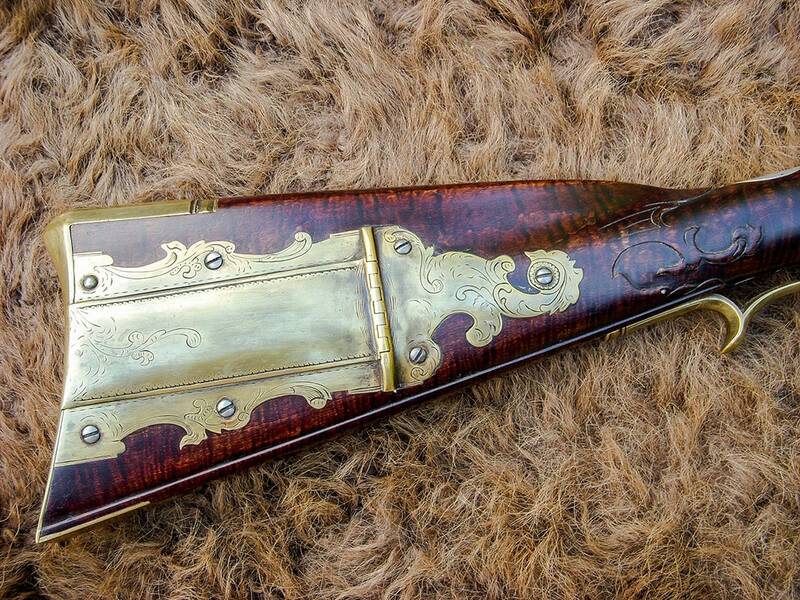 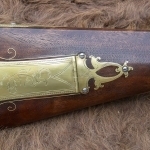 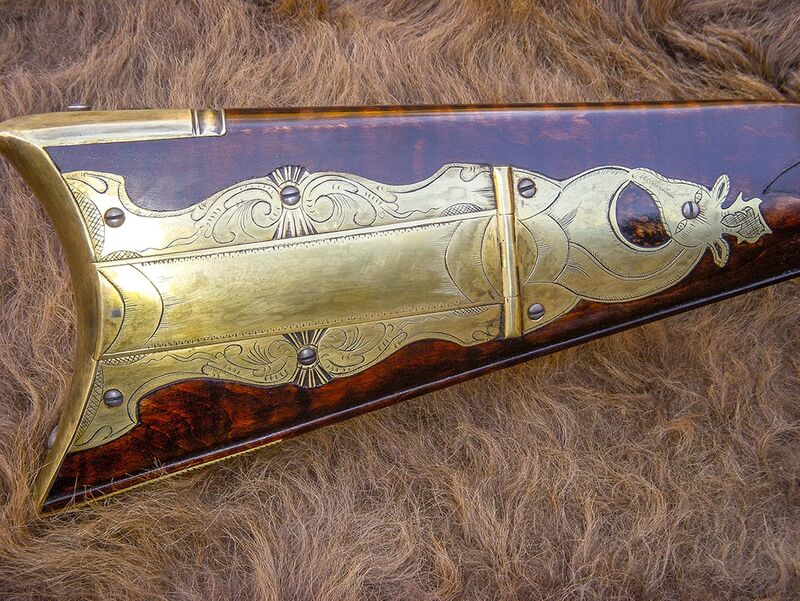 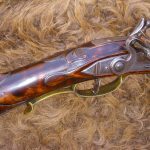 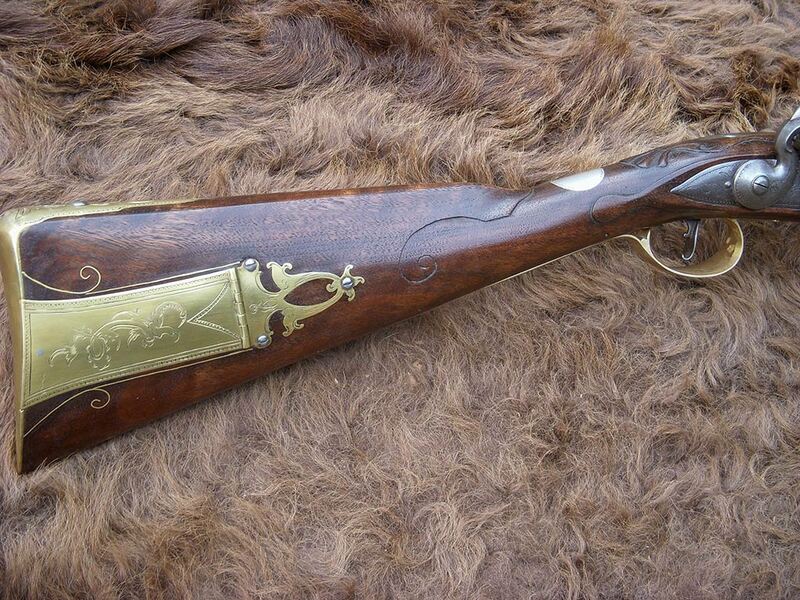 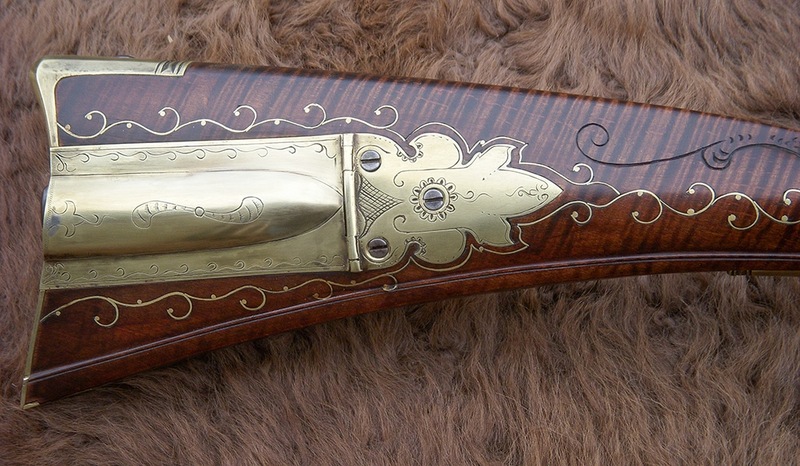 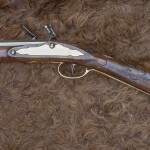 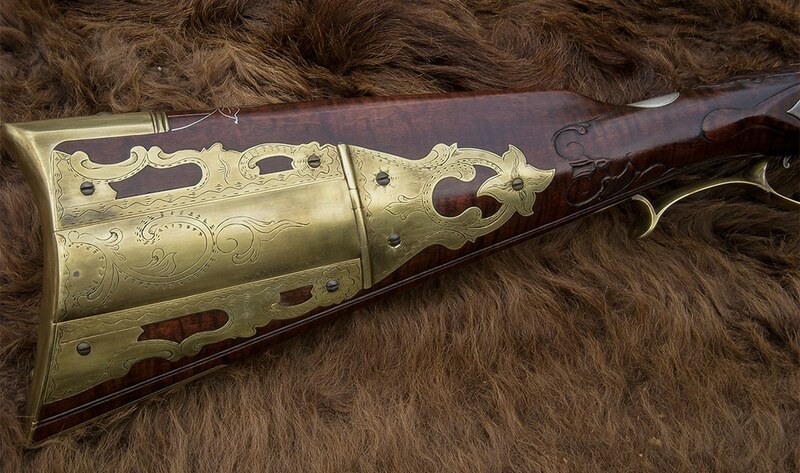 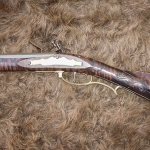 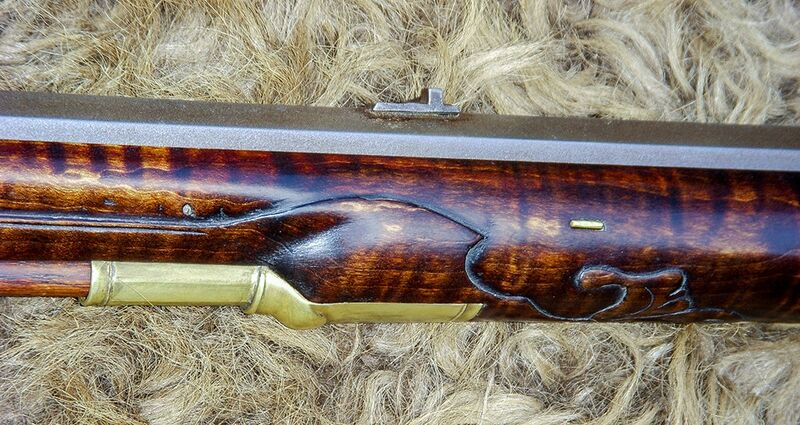 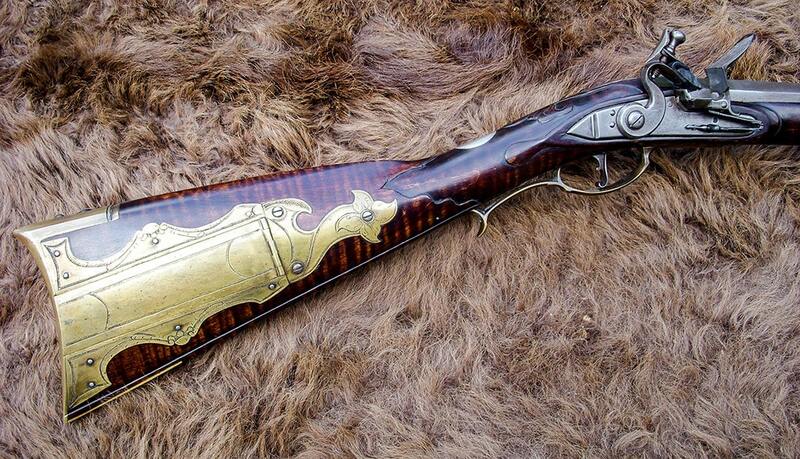 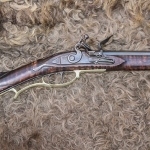 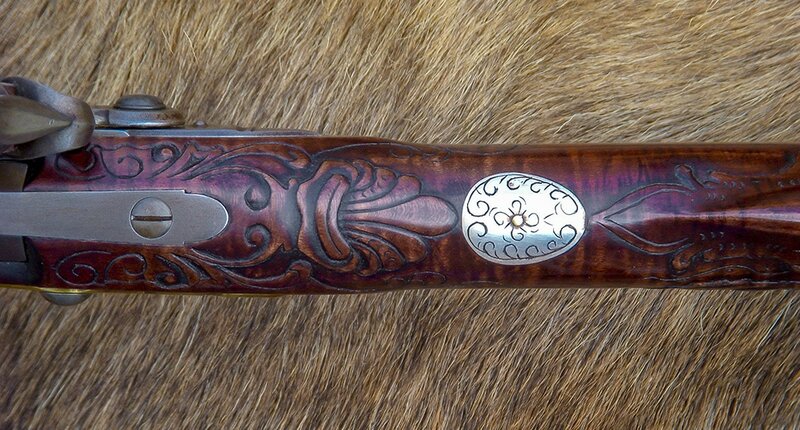 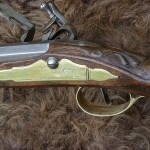 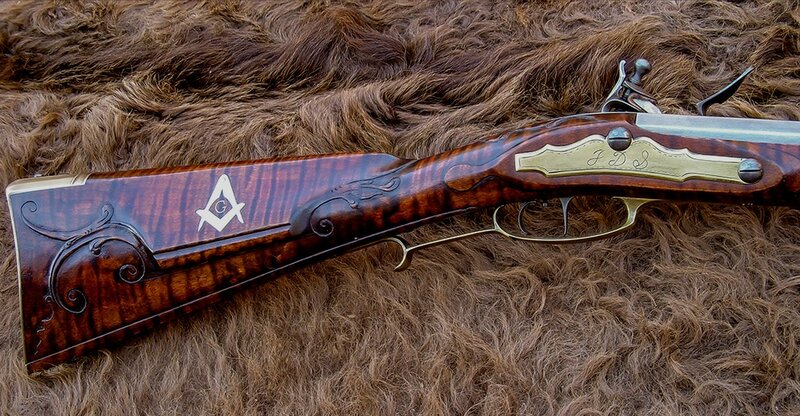 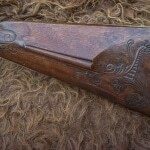 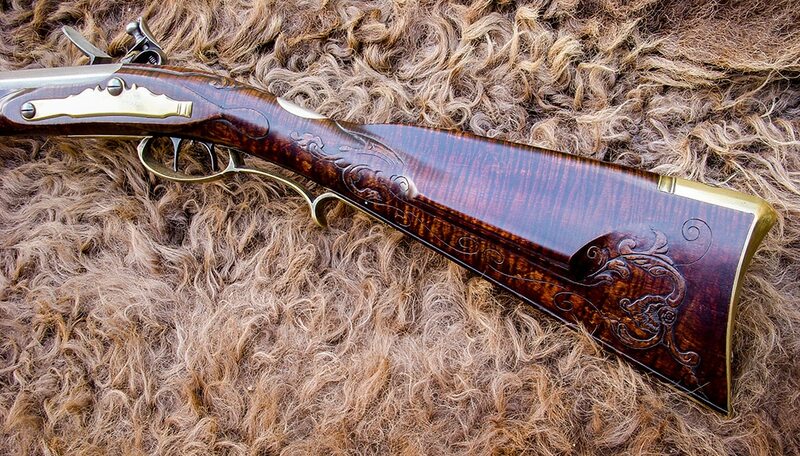 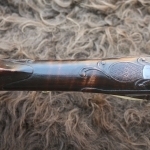 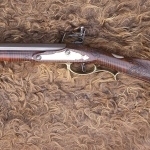 This example is patterned after an early rifle of William Antes, circa 1770-1780. 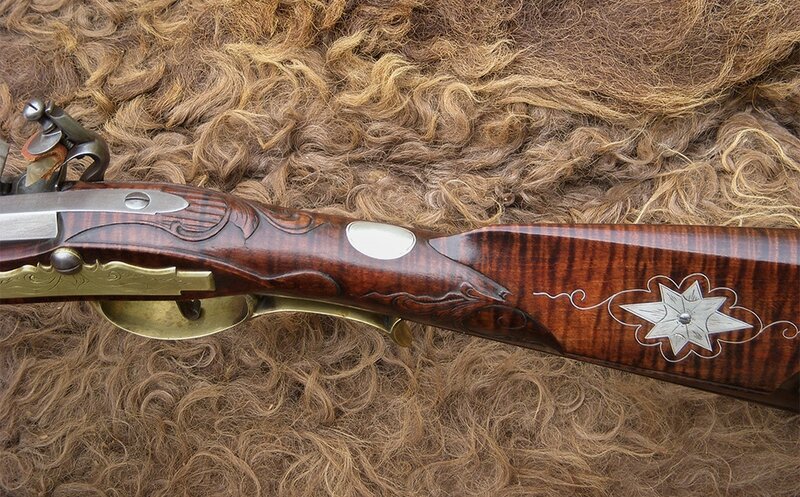 It is a wonderful blend of the Bethlehem and Lancaster county styles. 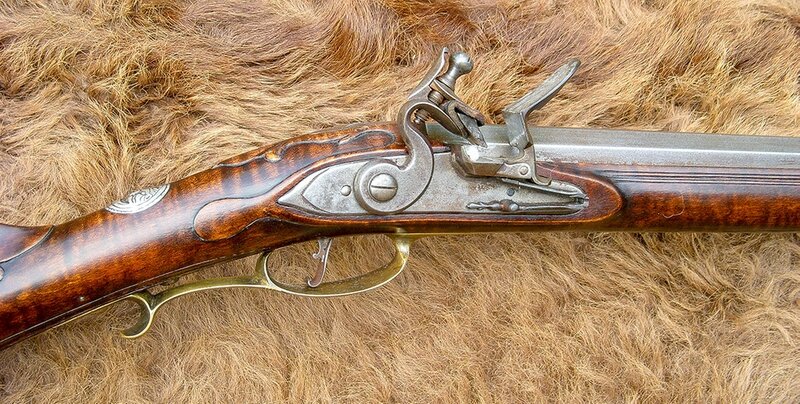 Antes was born 1735 in Frederick Township located in Philadelphia County, Pennsylvania. 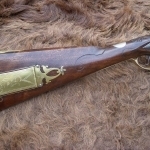 Thereafter, his family moved to Bethlehem in 1745. 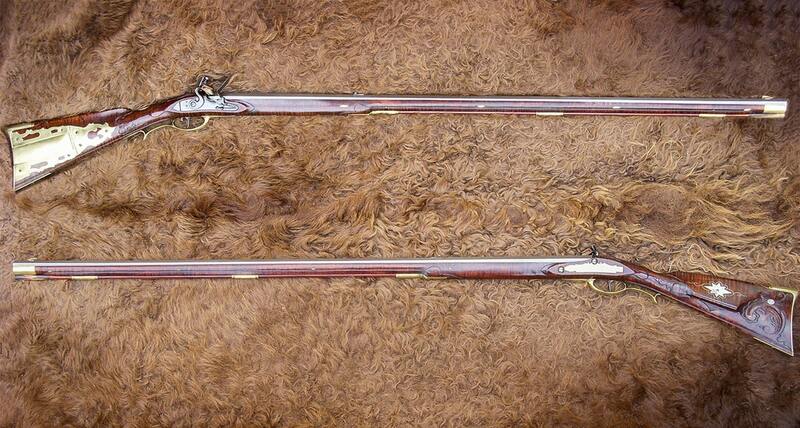 It is reasonable to believe William received a strong influence from the gun shop located in Christian’s Springs. 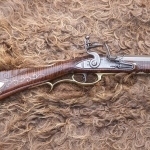 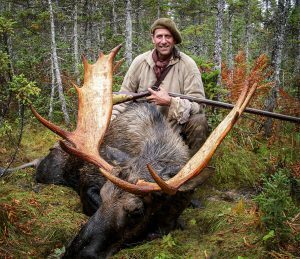 However, there is no record of where or from whom he learned the trade of gun making. 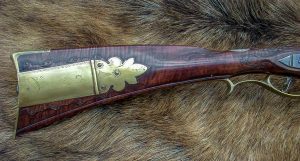 Later in his life, he became politically active in Philadelphia during the Revolutionary War. 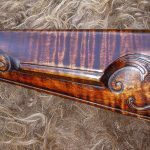 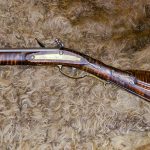 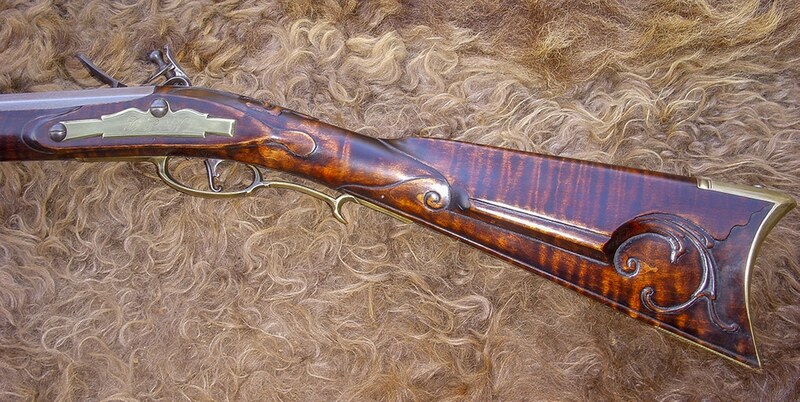 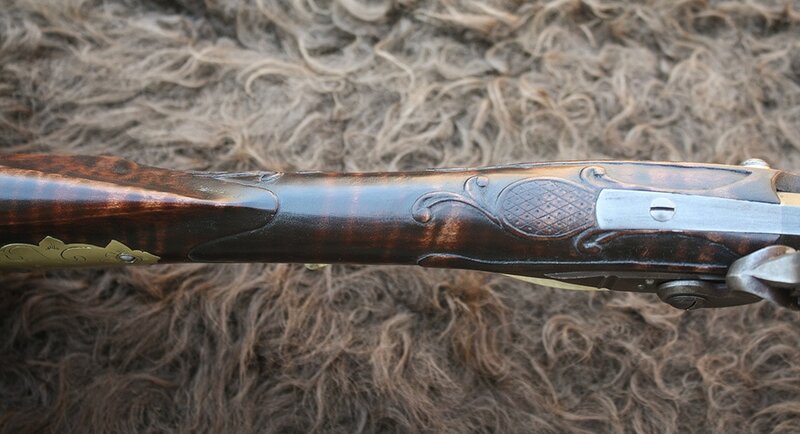 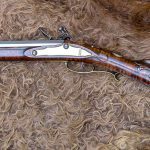 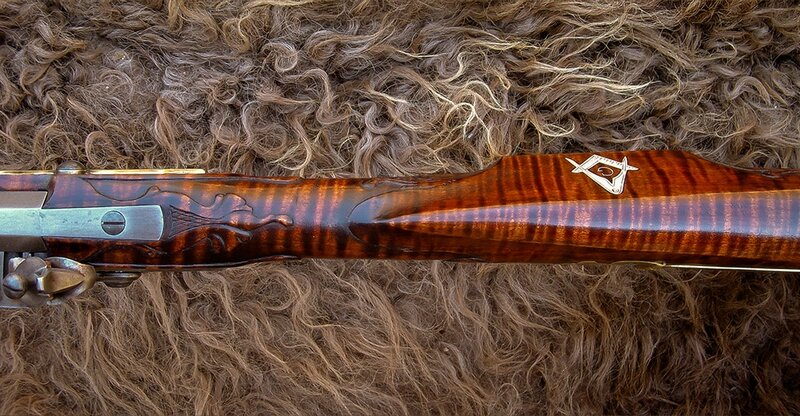 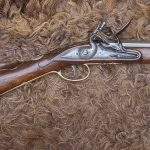 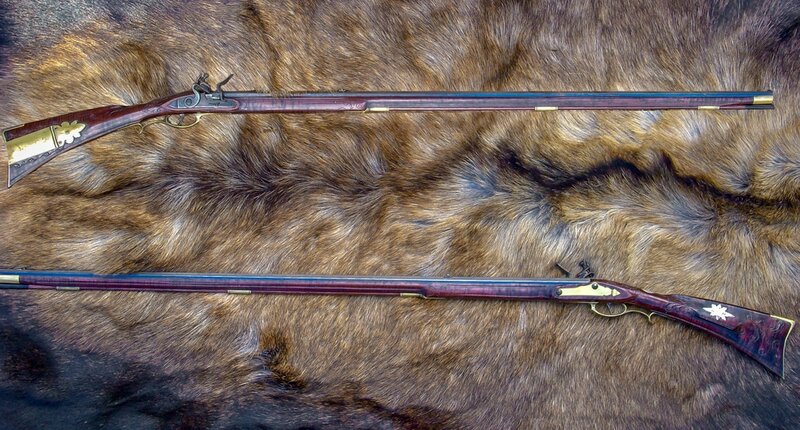 An unknown maker from York County, Pennsylvania produced the original Crockett rifle in the 1780-1790 time period. 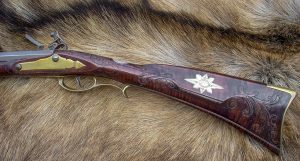 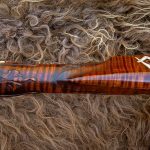 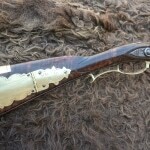 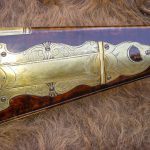 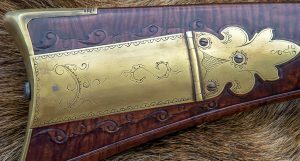 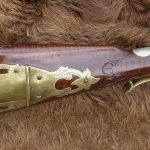 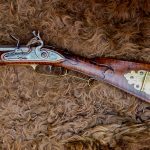 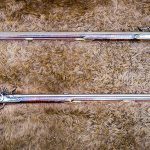 There is good reason with strong evidence that it was David Crockett’s first rifle at the age of 17. 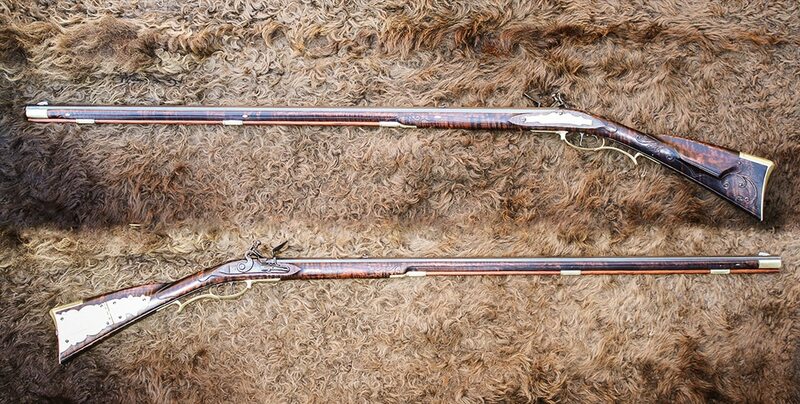 David makes numerous references to the occasions when he carried his rifle before it was sold to buy a horse so he could go courting. 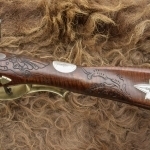 This example is patterned after the original currently on display at the East Tennessee History Center in Knoxville, Tennessee. 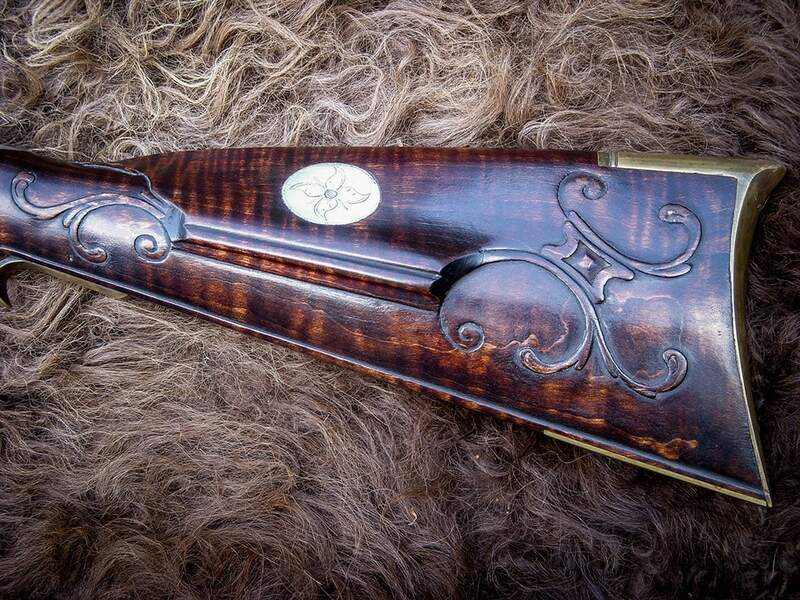 Herman Rupp lived and worked throughout his life 15-20 miles southwest of Allentown, Pennsylvania. 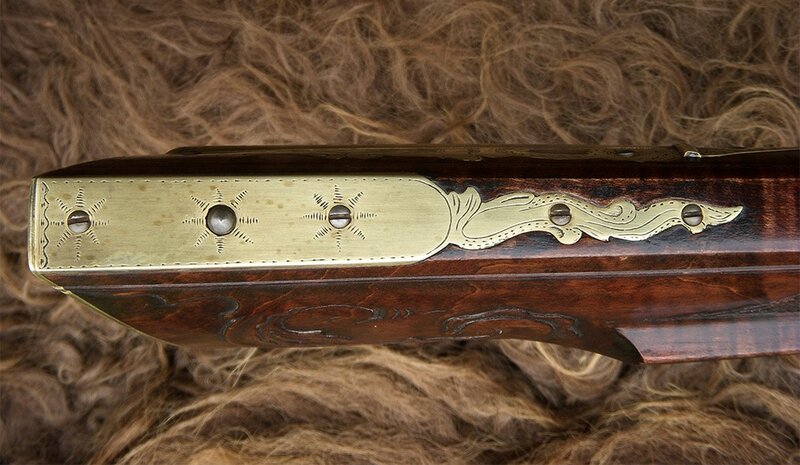 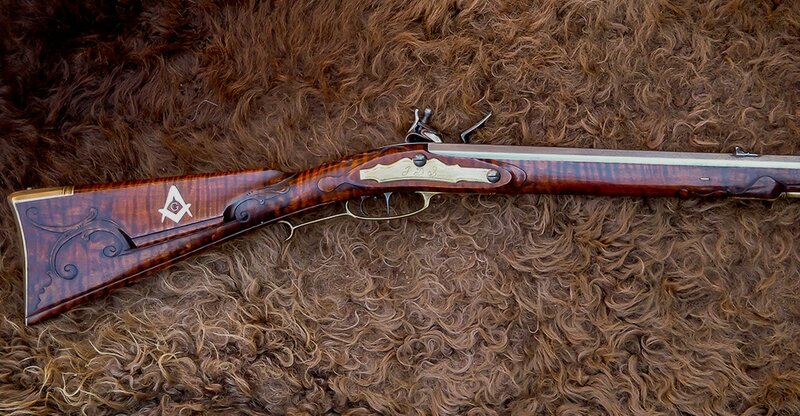 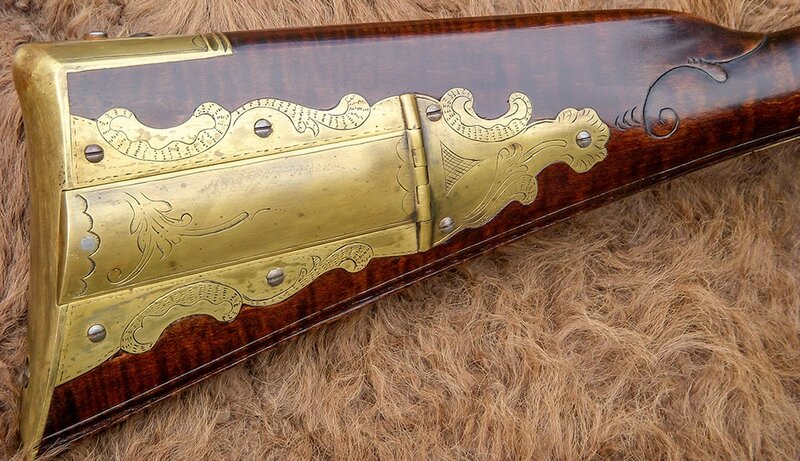 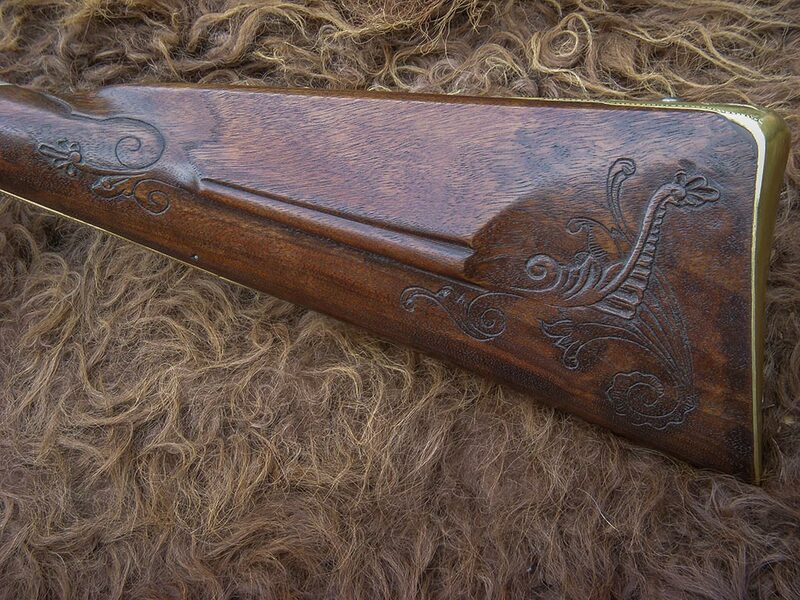 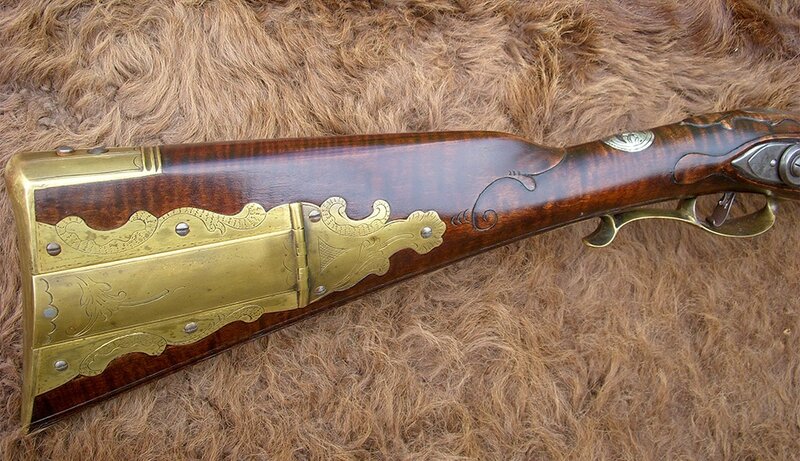 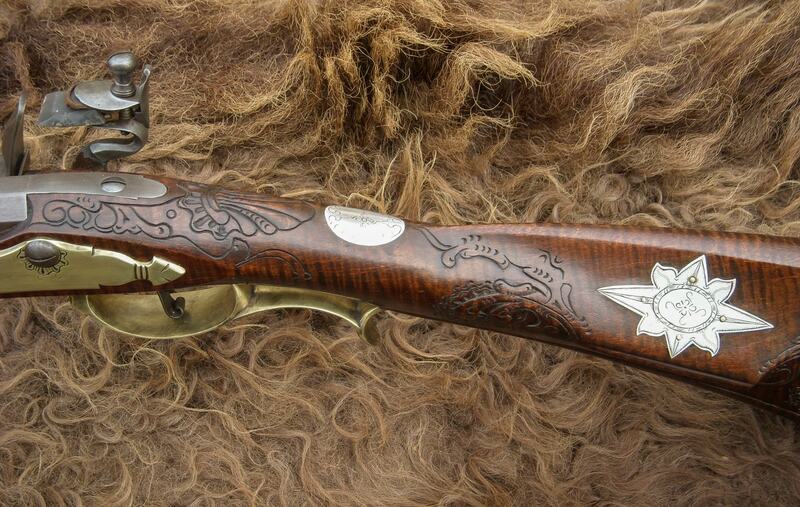 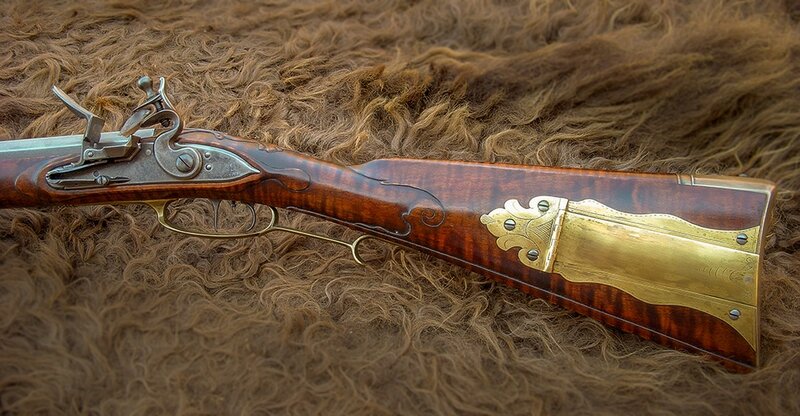 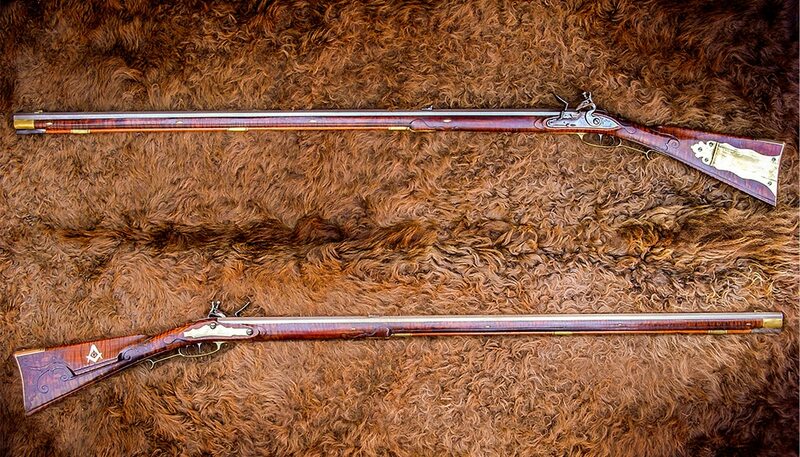 This contemporary example depicts one of the earliest documented fully evolved Lehigh Valley rifles, dated 1793. 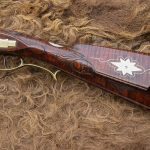 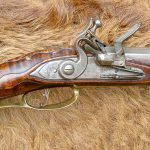 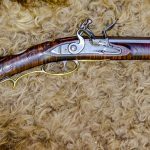 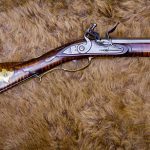 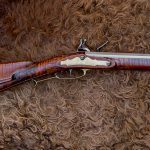 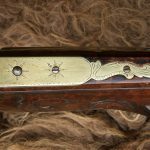 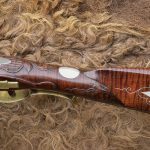 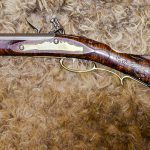 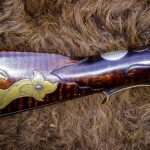 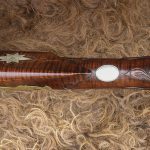 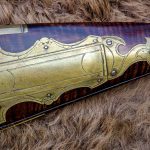 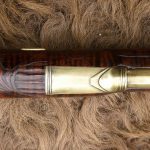 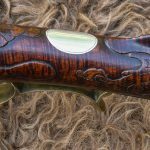 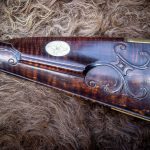 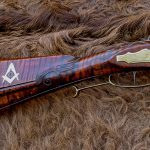 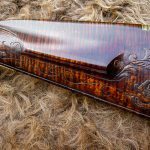 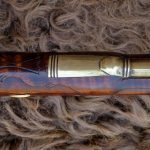 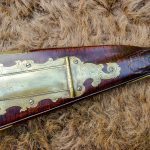 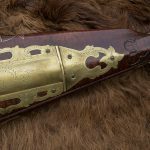 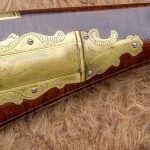 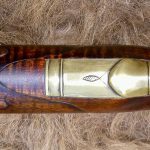 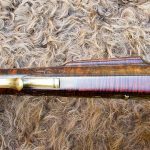 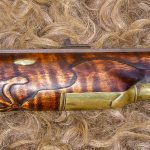 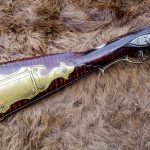 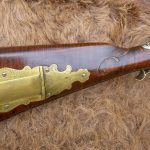 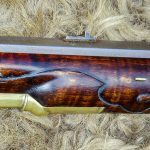 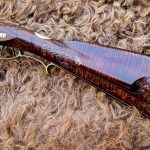 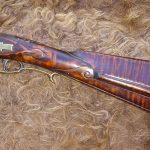 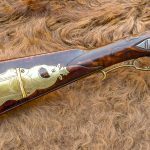 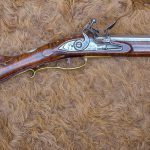 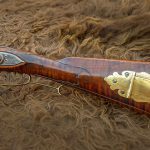 It demonstrates most of the architectural and decorative details that distinguish rifles built during this period in the Lehigh Valley area.